First up, I received a nice E-mail from a girl named Shauna McLarnon, the singer in a band called Ummagma. 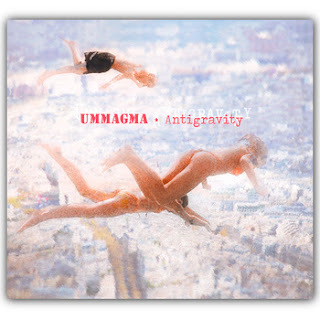 Ummagma are a Canadian/Ukrainian duo that features Shauna and Alex Kretov and are influenced by many styles including post punk and shoegaze. I couldn't resist posting about this band because Shauna was a student at Trent University in Peterborough Ontario, which is near where I grew up. The music is quite good too. The band have already released two albums, Antigravity and S/T, which you can check out on bandcamp. You can also listen to their songs on Soundcloud. Next, I received a request from Europe to feature a electronic producer named Jake Ridley, aka bassDrumsnareDrum. His music is electronic chillout dream pop and features the vocals of up and coming vocalist Betty Steeles. bassDrumsnareDrum has already been featured on BBC radio DJ Pete Tong's weekly dance music show, which to electronic dance musicians is like gold. I am a huge fan of music and have spent thousands of dollars on buying vinyl, CDs, mp3s, concert tickets, T-shirts etc.etc.etc. All mp3's linked on this site are for promotional purposes only (because I am big fan of whoever I post about!!!) and will be taken down after a limited time. If an artist or band are still uncomfortable about a posting , please contact me or leave a comment in the post and I will take it down immediately. Otherwise, enjoy the music and lets be friends.